Jerusalem, considered to be one of the holiest places on Earth. 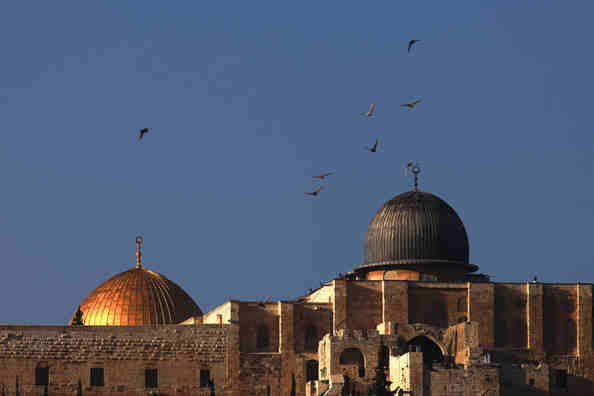 Christianity, Islam and Judaism all regard Jerusalem as an important site of their faith. For some, this craggy, hilltop is the place where God communes with man. Jerusalem is a city of contrasts; of ancient beauty and modern technology; a melting pot of cultures and history; a place of holiness and violence. It is perhaps the most fought over city. Jerusalem’s history is a story of faith, of man’s aspirations for holiness and power, and of the rise and fall of empires. The story of Jerusalem goes back as far as 3200 BC in the Bronze Age when it was known as Canaan. The Bible contains many references to Jerusalem. In the book of Exodus, Moses is chosen by God to lead his people to the promised land, to Canaan. Although united by a common belief in one God, Yahweh, the Israelites are politically divided. Joshua commanding the sun to stand still. 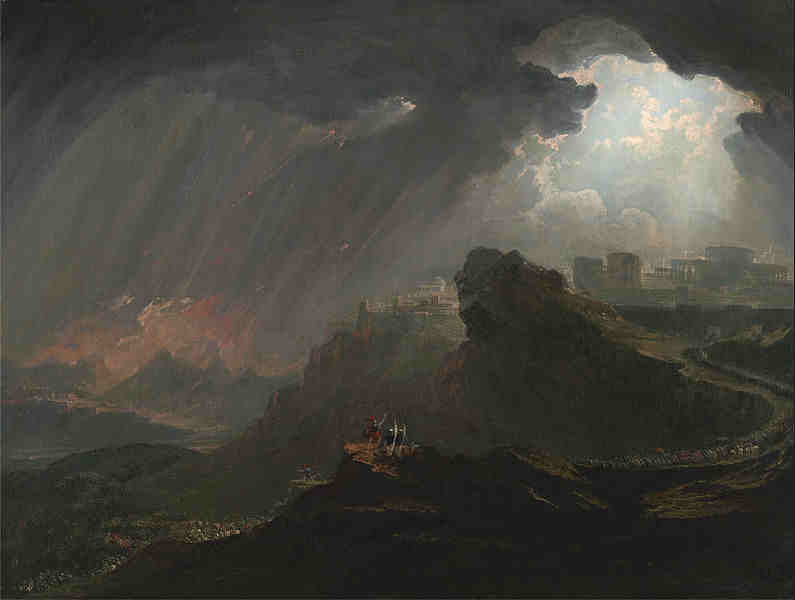 Painting by John Martin. One man will rise to unite the twelve tribes of Israel, David; The shepherd boy who became a king. David chose Jerusalem to be his new capital. He wished to construct a temple that would glorify God but the task of building the Temple would fall on his son’s hands, Solomon. Israel was at its golden age during Solomon’s reign. Wealth and power flowed from the kingdom. The Temple was a sight to behold and foreigners came to the land to give homage and see its spectacle. It was the dwelling of God, the place were Jews and even non-Jews alike could talk to God. The Destruction Of Jerusalem. Painting by Ercole De Roberti. The glory days of Israel were soon eclipsed with the rise of the empires beginning with the Assyrian king Sennacherib who would lay siege to Jerusalem. It was during this time that the prophet Isaiah made a prophecy about the coming of the Messiah. The prophet envisioned a heavenly and earthly city with a strong ruler never to be trampled again. After the fall of the Assyrian Empire, it was the Babylonians who went after Jerusalem next. Nebuchadnezzar burned Jerusalem and exiled the Jews. It was a destruction of the city, the temple and the people but instead of breaking the Jews it only strengthened their faith. Away from Jerusalem, the Jews in the Babylonian captivity developed traditions and customs that would set them apart from other races and cement their Jewish identity. The Persian Empire eventually defeated the Babylonians and under the Persian King Cyrus, the Jews were finally allowed to return to their homeland. Cyrus even funded the rebuilding of the temple. Over the next two centuries, Jerusalem became a theocracy ruled by priests. The peace of the city was soon shaken up by the conquests of Alexander The Great and the Greeks. A Greek ruler, Antiochus Ephipanes sacked Jerusalem. This resulted in what will be the first Holy War lead by Judah the Maccabee. The Greeks lose their power to the Romans; Jerusalem soon falls under Roman rule. A section of the Arch Of Titus commemorating the destruction of the Temple. In 40 BC, the Romans appointed Herod as puppet king of Judea. Herod is a power-hungry, vile man. He went as far as killing his own sons and family in order to retain the power for himself. But vile man he was, Herod was also a visionary. It was during his reign that he initiated great construction projects in the city. Much of what we see in Jerusalem today still bear remnants of Herod’s projects. His grand project was the rebuilding of the Temple. Herod was not a religious man, he only wanted to gain the favour of the people by rebuilding the Temple but it was not the case. The rebuilding of the Temple was the jewel in Herod’s construction projects. Around this time, a child was born in Bethlehem who would grow up to challenge the teachings and rulers of that time, who would one day be crucified and change the world. The succeeding years saw massive corruption and degeneration from the Roman Empire. This sparked rebellions among the Israelites who wanted to break free from the empire. 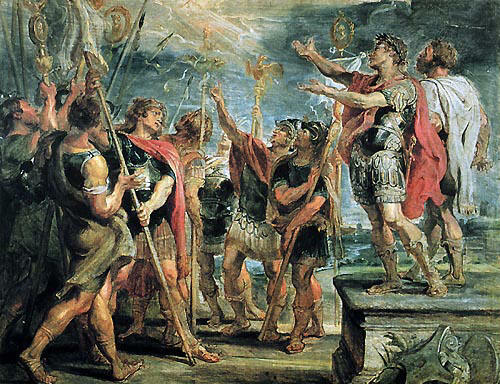 To quell the rebellions, Emperor Nero sent Vespasian and his son Titus to Jerusalem. 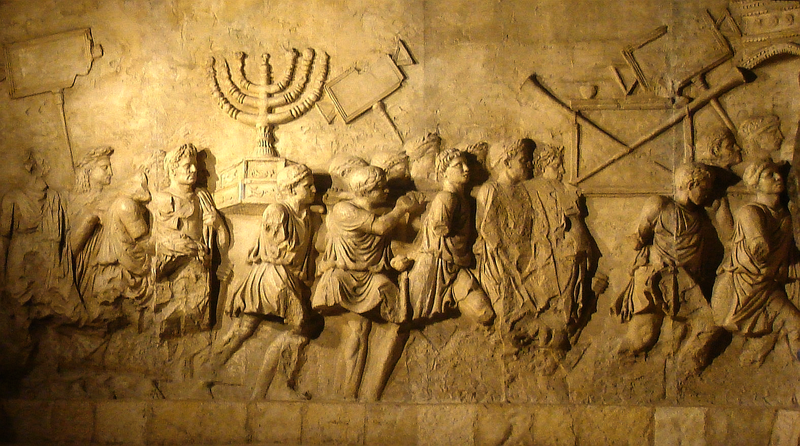 The Siege Of Jerusalem was commemorated for posterity in the Arch Of Titus. 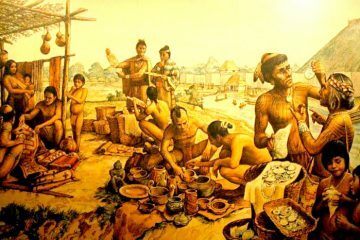 The Temple was looted and burned, the people killed and crucified. Jerusalem was lost, the Jews were scattered and the Temple was never rebuilt again. Jerusalem became a pagan city, without religion the city lost its identity and the population dwindled. Emperor Hadrian suppressed Judaism and renamed Jerusalem as Palestina. Constantine receiving the sign of the Cross. The city would soon be revived under the rule of the Christian Emperor, Constantine. He wanted to make Jerusalem his Christian capital. With the help of his mother Helena, the Church Of The Holy Sepulchre was constructed. The rule of Constantine transformed Jerusalem into a focal point of Christianity. 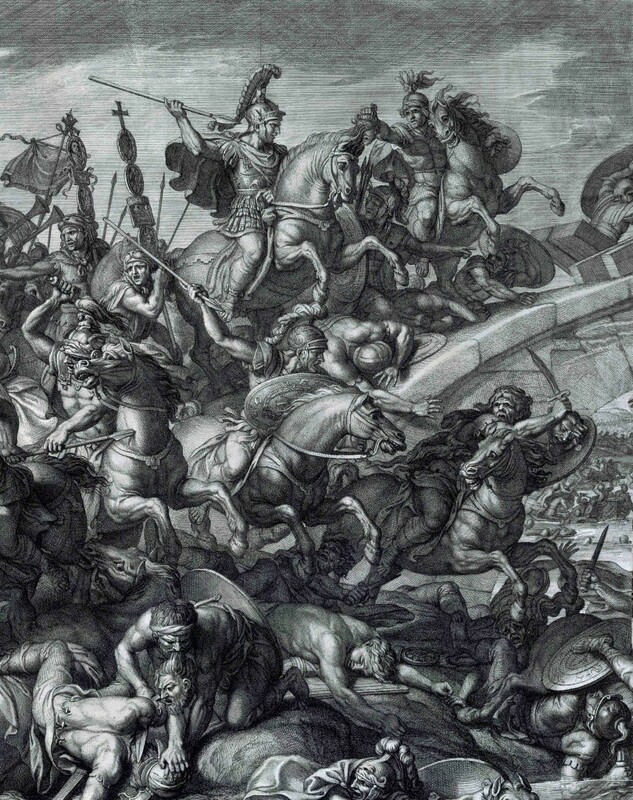 Constantine at the famed Battle Of The Milvian Bridge. As with all the other empires, Rome fell and it made way for the Byzantine Empire and the weakening of the Byzantine empire ushered in the arrival of Islam. 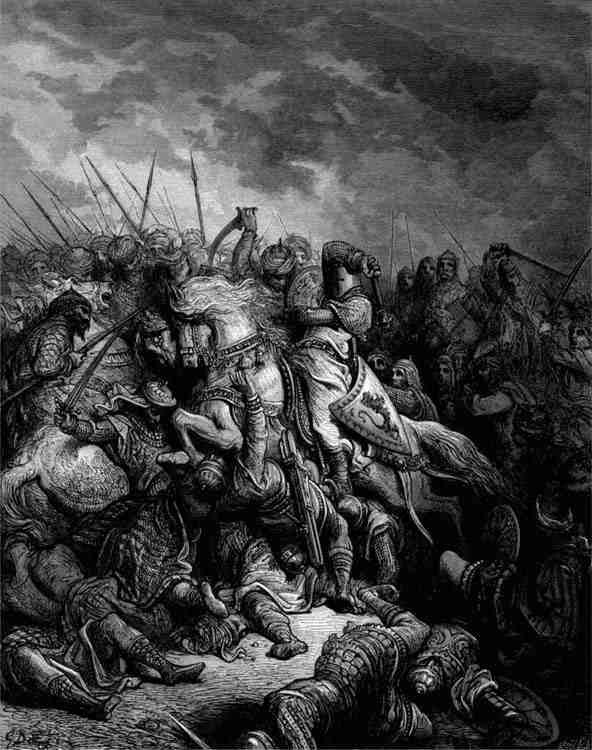 The Middle Ages saw the violent clash between Christians and Muslims, the famed Crusades. The 7th century saw the rise of Islam. Muhammad is revered in Islam as the prophet who received a divine revelation from God. Jerusalem is a holy place for Muslims because it is said to be the place where Prophet Muhammad made his Night Journey and ascended into heaven. Some of the early followers of Muhammad called Caliphs believed that the Apocalypse will happen in Jerusalem soon and a few years after Muhammad died they set about conquering Jerusalem. They began to build right on top of the Temple Mount. The top of the Dome Of The Rock and Al Aqsa mosque. The Muslim Umayyad Empire soon took control of Jerusalem and under the ruthless leader Abdul Malik, the construction of the famed Dome Of The Rock began. 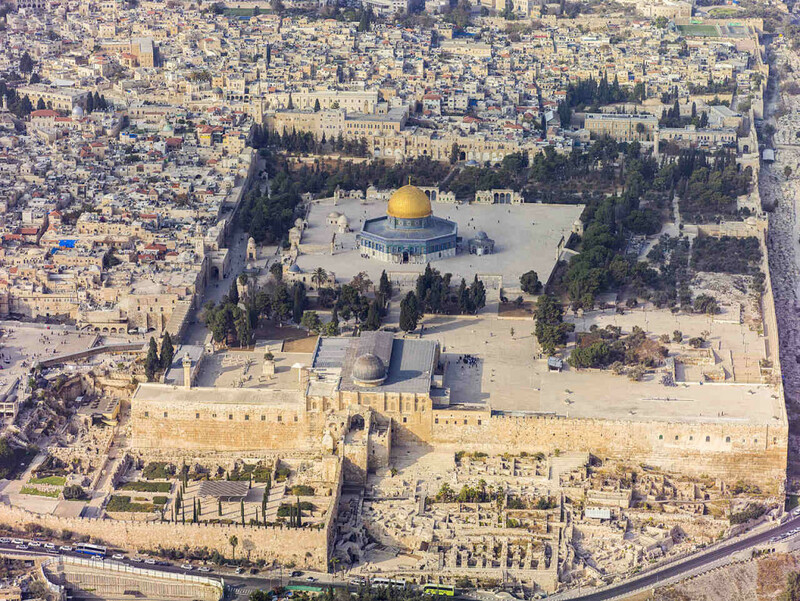 He also ordered the construction of the Al Aqsa Mosque near the Dome Of The Rock. These structures are built on top of the Temple Mount and are meant to celebrate Islam’s triumph over the city. By 720 AD, the Jews were banned from the Temple Mount. A new Muslim dynasty soon overtook the Umayyads and one of their notorious leader is Al Hakim. 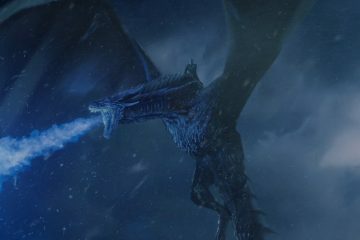 He became a ruler when he was still a boy. Titled as the Arab Caligula, the mad ruler began a frenzy of demolition of churches and persecution of Christians. He ordered that the Church Of The Holy Sepulchre be torn down up to bedrock. None of the original structure of the church remained. Despite the threats to the Christians, pilgrims continued to flock to the city. 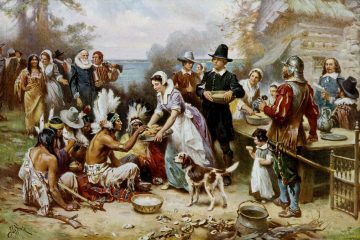 Warlords threatened to slaughter the pilgrims. This sparked the beginning of the Crusades. Pope Urban II issued a rallying cry to rescue Jerusalem. Europe rallied an army that would redeem the city and make it Christian once more. The first Crusade was bloody and ruthless but it was successful in redeeming the city. The Crusaders converted the Dome Of The Rock and the Al Aqsa into churches and Muslims and Jews were banned from entering the city. Once again Jerusalem is Christian and the Kingdom Of Jerusalem was born. But the Muslims refuse to let Christians have complete rule. Under the rule of Saladin, they resolved to win back the Holy City. This triggered another bloody battle between Muslims and Christians. In 1187 AD, Saladin recaptured Jerusalem. The Crusades besieging the walls of Jerusalem. Saladin’s recapture ignited yet another round of battle with the Christians fighting back this time under the leadership of Richard The Lionheart. After much negotiations between Saladin and Richard, the Treaty Of Jaffa was made. It partitioned Palestine into two, with the Christians having Acre as the capital while the Muslims kept Jerusalem. Richard got the bad end of the deal resulting in another round of futile battles. The house of Saladin eventually declined and the Christians rose once again under the ruler Frederick II, King Of Sicily. Frederick is a shrewd politician. He was able to negotiate 10 years of peace and shared sovereignty with the Muslims. Muslims kept Al Aqsa and Dome Of The Rock in return for Christians having free access to the city. After 130 years since the first Crusade, the city was Christian once again but this did not last. Jerusalem fell into the rule of weak Muslim rulers and Christian barons. In 1244, Tartars invaded and pillaged Jerusalem leaving Jerusalem ruined, vulnerable and half empty. It was soon followed by the sacking of the Mongols. For a while, the city was left in ruins but it was to be subdued by the Mamluks. The Mamluks were fierce armies who conquered Egypt and Syria. They made Jerusalem the centre of their territories. The city grew once again under the Mamluks and they made good business in handling the pilgrimages to the city. The Mamluks eventually fell into corruption and decline and they were overthrown by the greatest Islamic empire the world has seen, the Ottomans. The Ottomans allowed free access for Christians and Jews to the city as long as they pay the taxes. Under the Ottoman ruler, Suleiman, the empire expanded and Jerusalem’s population rose to new heights. It was also Suleiman who oversaw the massive restoration and repair of the Dome Of The Rock. Most of the coloured tiles that we see today are from Suleiman’s time. The access of Christians and Jews, though limited to certain parts of the city, were still tolerated by Suleiman. The Christians sects are also allowed, those who pay stay. European monarchs backed the different Christian sects, not as a matter of religious piety but as a political one; imperialism and evangelism. 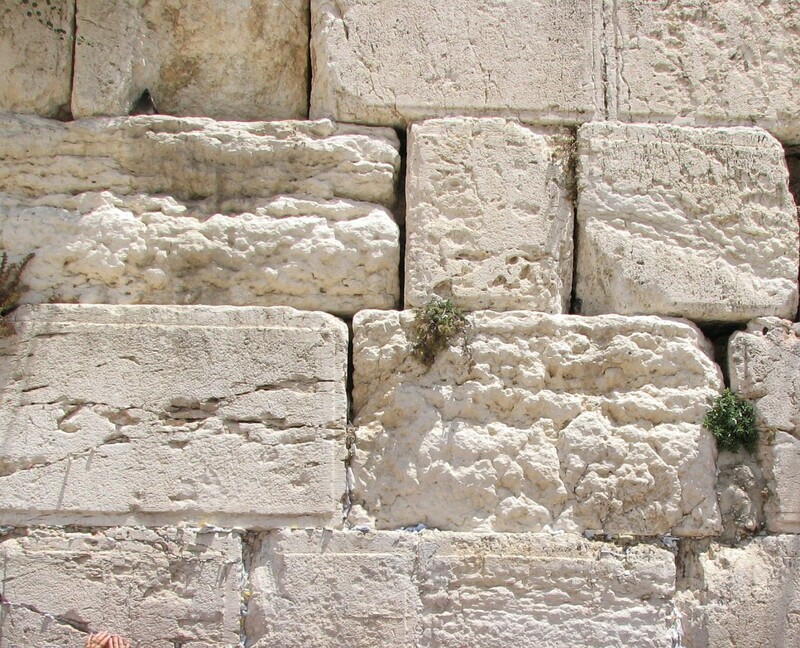 The stones of the Western Wall in Jerusalem. Growing anti-semitism in Europe saw Jews fleeing to Jerusalem. In 1895 an Astro-Hungarian journalist named Theodor Herzl wrote the world-changing book, The Jewish State (Der Judenstaat). 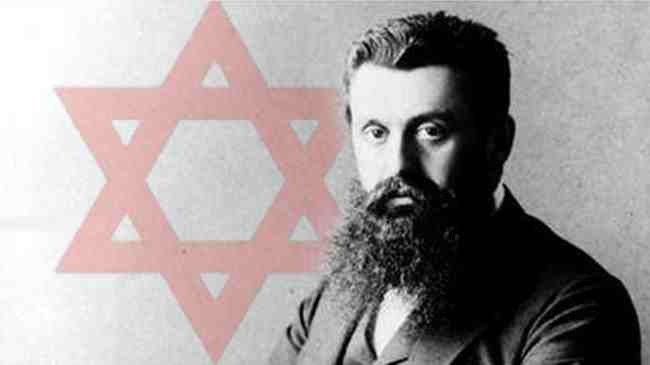 Herzl believed that Jews could only protect themselves if they have their own state. This is the beginning of the movement of Zionism. Once more, the period of peace and coexistence in Jerusalem was disrupted by the onset of World War I. 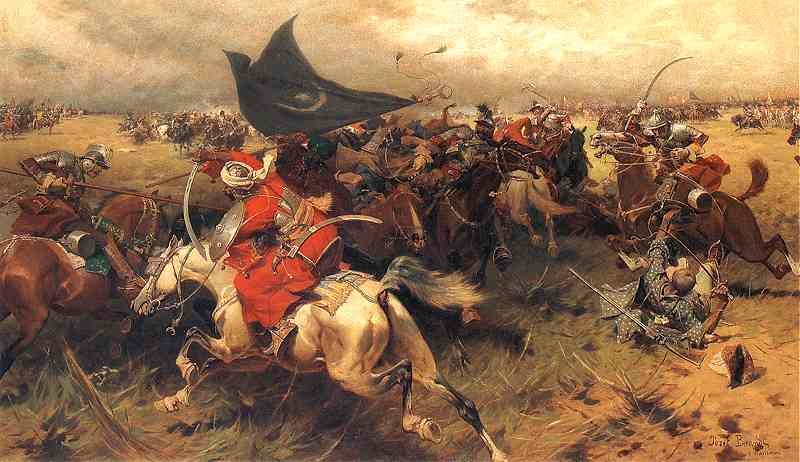 The war saw the collapse of the Ottoman Empire and it redraw the map of the Middle East. Jerusalem soon falls under the rule of the British. The rise of Nazism increased the number of Jewish immigrants to Palestine. This ignited another conflict between the Arabs who believed that the Jews will eventually take over the lands and their holiest sites. 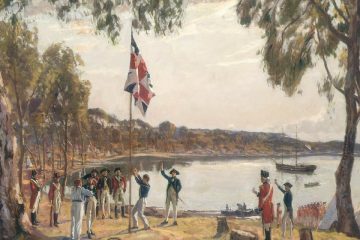 Conflicts and revolts soon erupted which proved a to be a headache for the British. World War 2 erupted and it overturned the world. The British left Jerusalem and the United Nations partitioned the city to Jews and Arabs to resolve the conflicts. The Arabs did not agree with the partition which resulted in yet another civil war. They believed that it was only the Jews who got the good end of the deal. 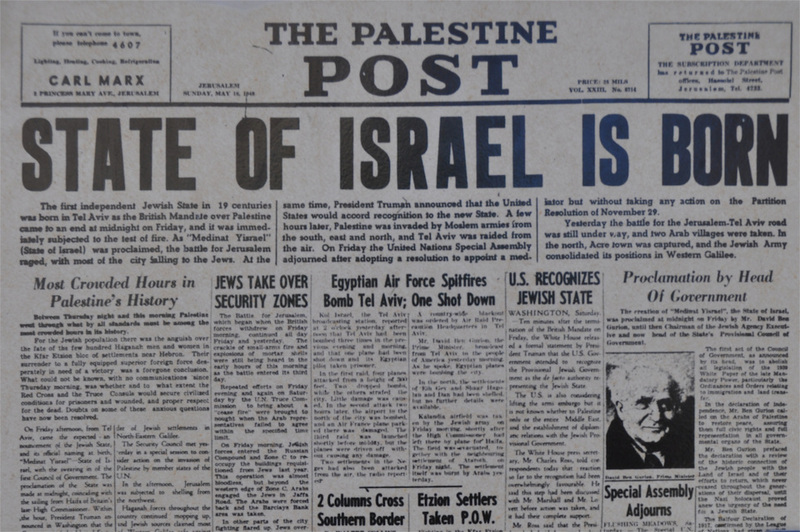 In 1948, the State Of Israel was born. Neighbouring Arab nations attacked the fledgeling state. There were conflicts, wars, loss of lives and loss of holy sites. Israel eventually recaptured Jerusalem. The State Of Israel showed tolerance to all faiths, there cannot be peace with exclusive possessions but it is undeniable that there are invisible barriers that exist up to this day.